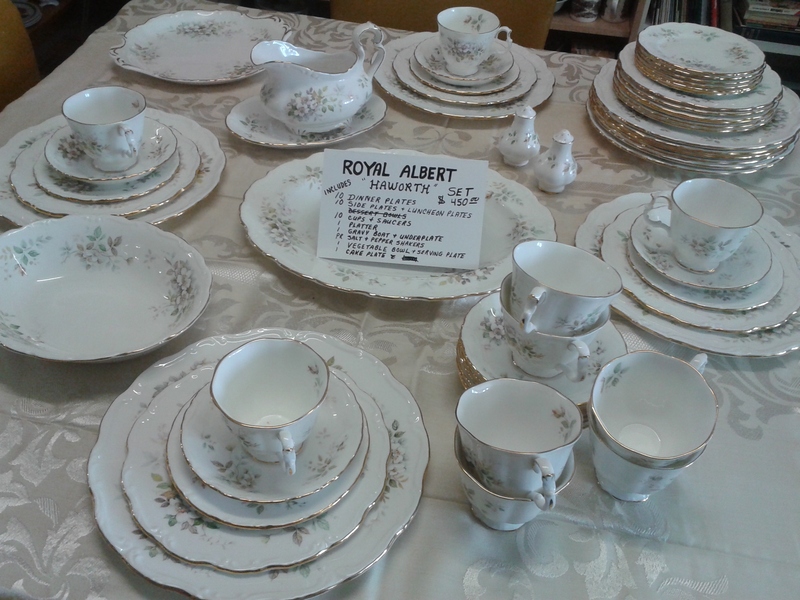 Royal Albert made these dishes from 1982 through to Dec 2001. 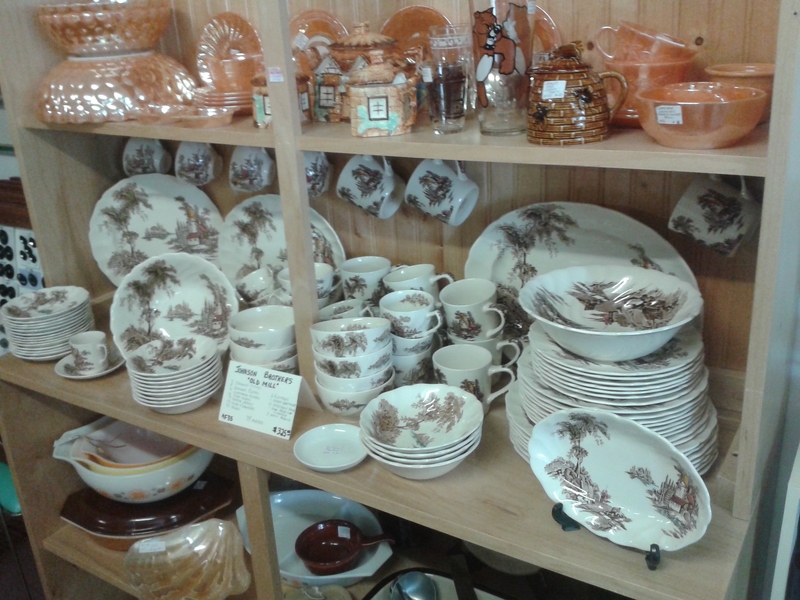 Most of these dishes would be dated in the 80’s according the to previous owner. 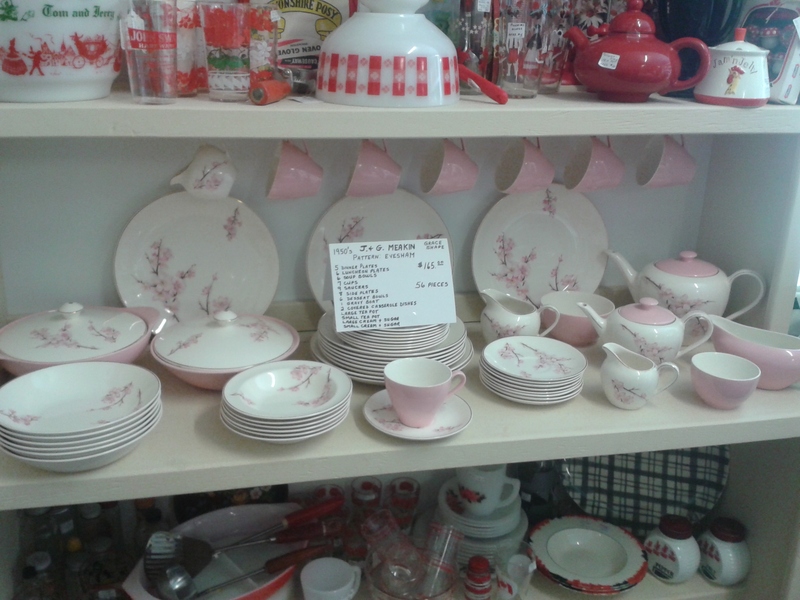 She also said they were rarely used and only brought out for special occasions. They are in excellent condition with barely a sign of use on the surfaces. 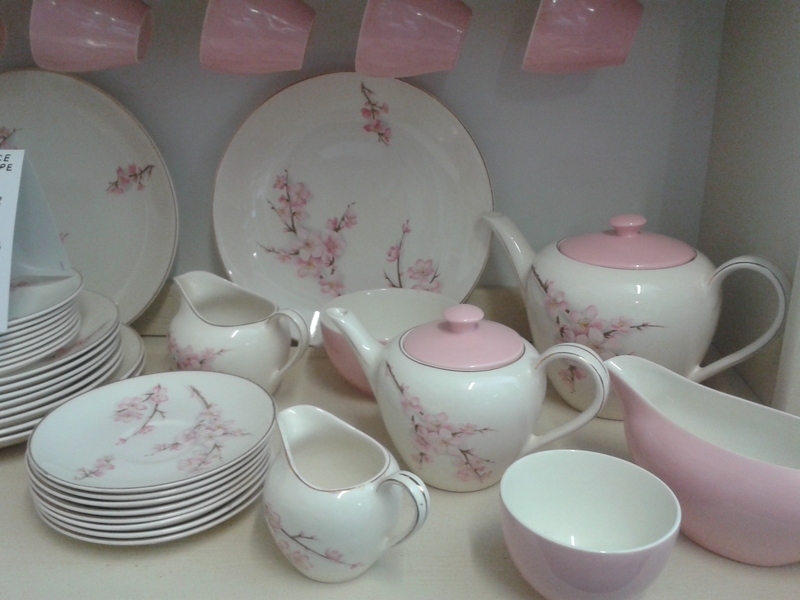 The pattern is a delicate green, white and brown floral and the shape of the cups is called Gainsborough. 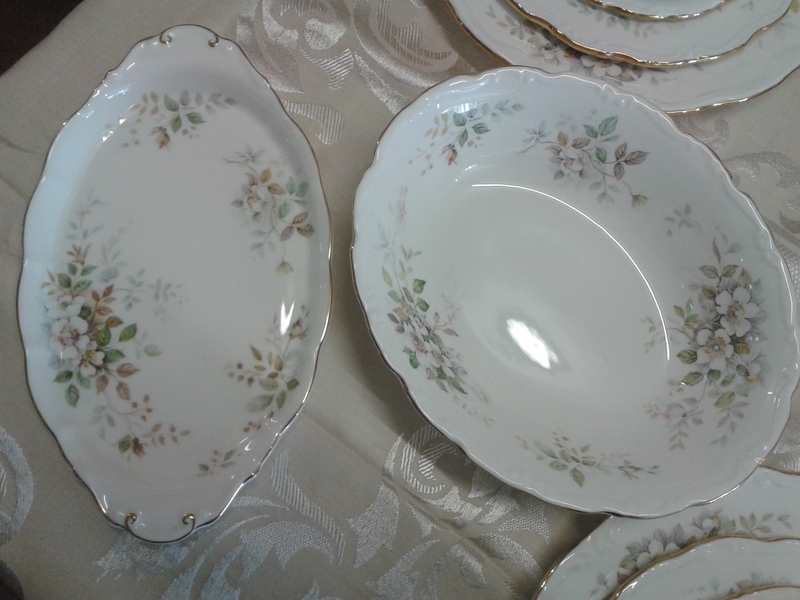 Some of the serving pieces are in the ‘Victoria’ shape. 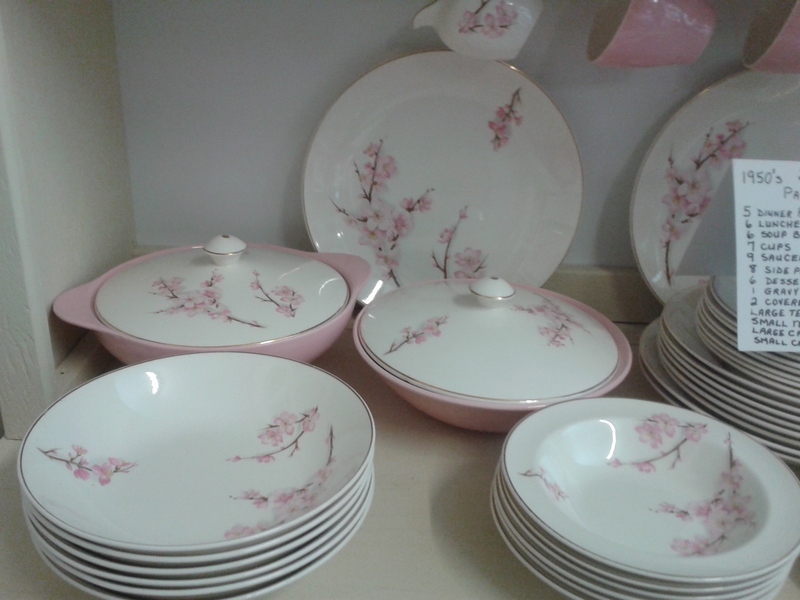 This is a complete set of 58 pieces which includes place settings for 10: dinner plates, luncheon plates, side plates, cups, saucers, salt and pepper, and several serving dishes. 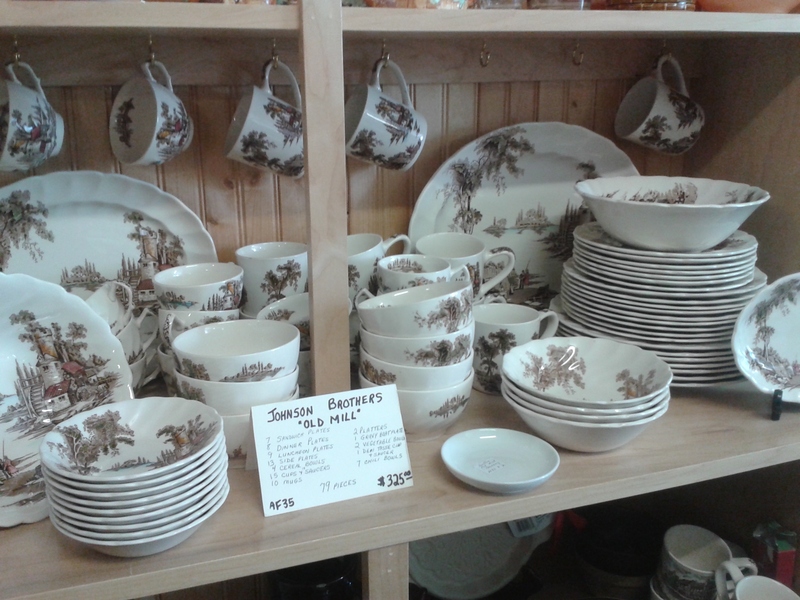 They are currently for sale in my booth at the Almonte Antique Market, 26 Mill St., Almonte ON. 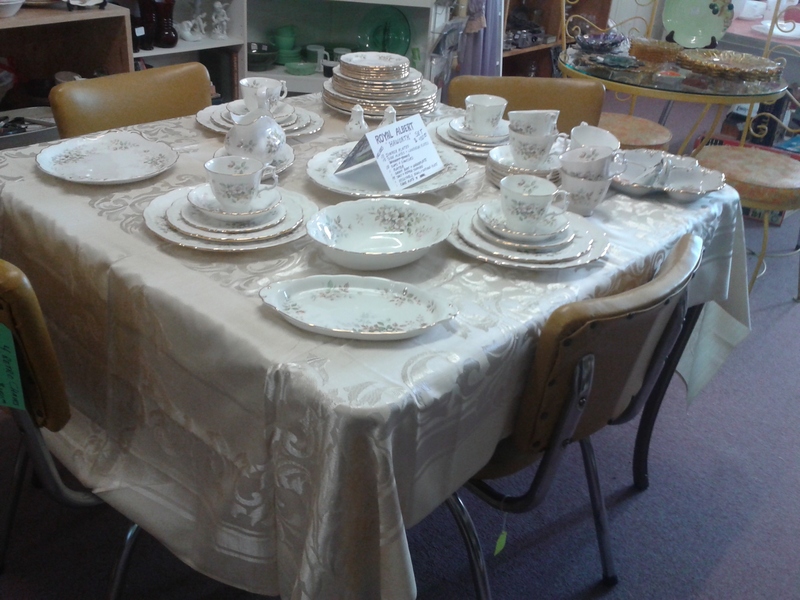 Priced at $450 for the set. 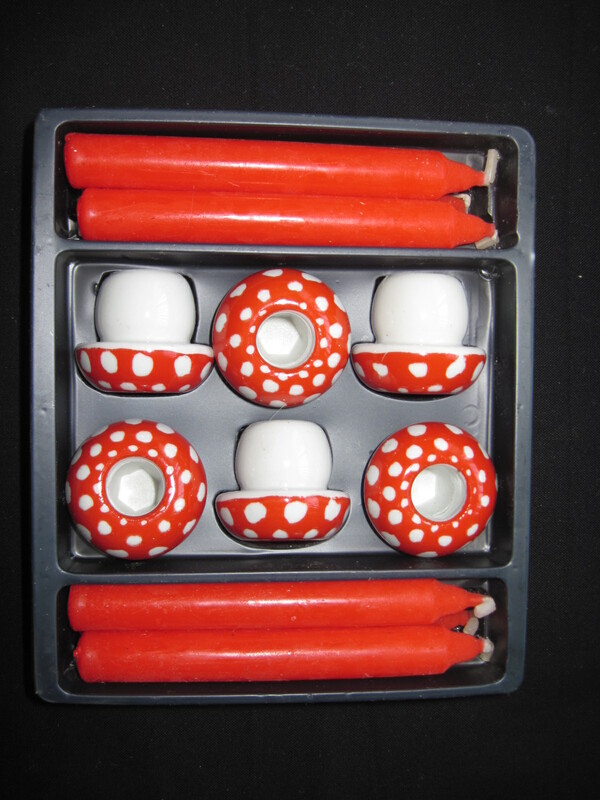 These are probably 1960’s or early 70’s, with the red polka dot mushrooms theme. Mushrooms were quite the thing in the early 70’s. I know, I lived through it. 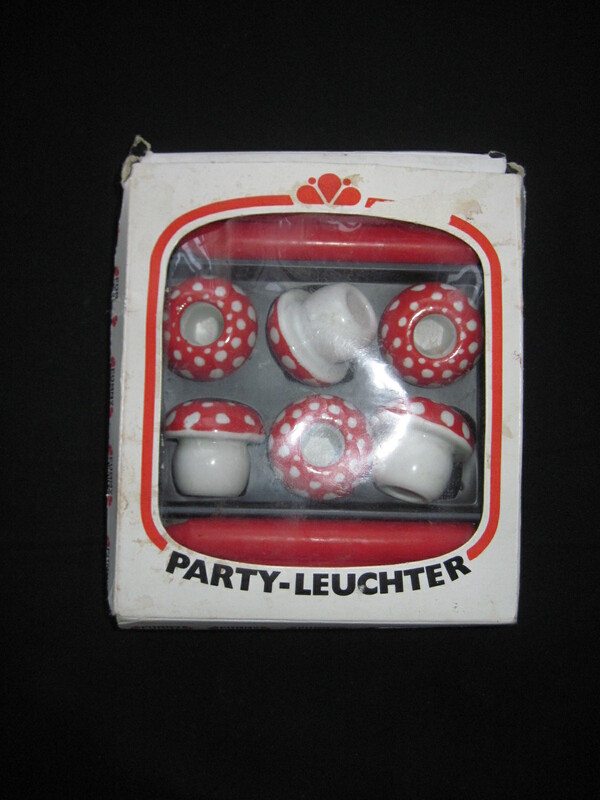 These cute little candle holders are made in West Germany by Leuchter and I have seen boxes with the name Funny Leuchter and now these with Party-Leuchter. I think leuchter means candlestick, or candlelabra. Complete in the original box, with the original candles, always a plus. Please note this item is SOLD! !